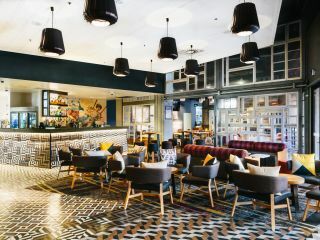 As part of the hotel’s rebranding from Watermark Hotel to vocoTM, the landmark hotel completed a multi-million dollar renovation which saw all of its 389-guestrooms undergo a stylish refurbishment, transforming it into one of the best new hotels on the Gold Coast. 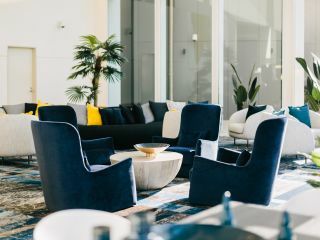 Along with vibrant updates to the hotel’s expansive lobby and porte-cochère, the entrance experience and common areas also have a new look and feel. The hotel’s meeting room facilities have also been updated with new carpets and freshly painted walls. The hotel’s Deluxe and Deluxe Ocean View rooms and Suites have undergone a total overhaul; with new bathrooms, Aveda amenities, new beds, designer lighting fixtures, new carpet, new sofas, brand new televisions and striking artworks as a feature. We have taken our Gold coast accommodation to new heights with these rooms situated on the top four floors of the hotel. Discover some of the most sought-after views on the Coast. vocoTM Gold Coast has kept the three thriving Gold Coast restaurants, including its signature restaurant, Clifford’s Grill & Lounge, which is a sophisticated Australian fusion grill-style restaurant, Social House which is home to a lively cocktail bar and cafe, and Waves Buffet Restaurant which specialises in group/buffet dining. Other hotel facilities include an updated and modern gym, two swimming pools, an expansive L'Aqua Day Spa, 800 sqm of meeting space and breathtaking views of both the ocean and hinterland. The perfect Gold Coast hotel for business and pleasure. 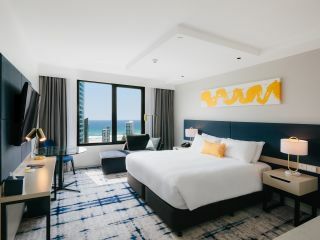 Located in the heart of Surfers Paradise and steps away from the beach and tram station, vocoTM Gold Coast provides affordable Gold Coast accommodation for couples, families and large groups looking to soak up the beauty of the Gold Coast and its surrounds. 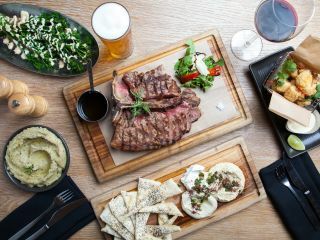 InterContinental Hotel Group’s (IHG) brand new upscale brand, vocoTM, officially launched in Surfers Paradise in November 2018 with the opening of vocoTM Gold Coast, making it the first opening of the vocoTM brand globally. We can't wait to welcome you to vocoTM Gold Coast soon!